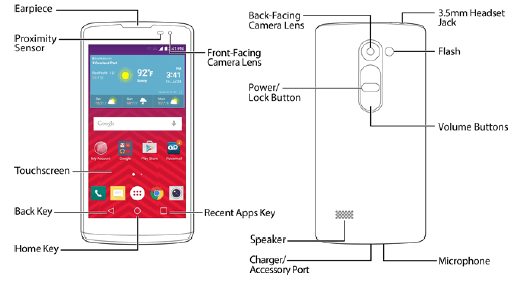 LG Tribute 2 user manual support in english language. It has 130 pages and devided into 11 chapter. 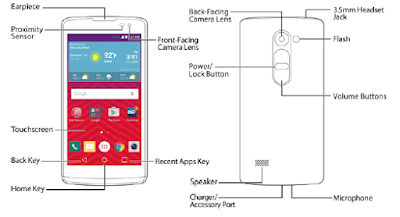 This manual provide detail reference information such as phone layout and key functions, learn using Insert microSIM Card, Format microSD Card, use the touchscreen, Phone and Web Search Using Text Entry on page 31, using clip tray, lock and unlock screen, update phone, Update Firmware, Update LG Software, UICC Unlock. Further, in the manual also provide information about call settings, import and backup contacts, using internet, using email, using camera, using apps like Google hangouts, Google search, QuickMemo+, using Wi-fi and bluetooth, VPN settings guide, and more.